Are you dealing with chronic pain or dysfunctional movement patterns? Are you having difficulty getting into shape? Have you run into a plateau or obstacle in your training? At Cores & Effect we are oriented to meet every body where that body is at. This book will give you a varied and obtainable home practice, help you reduce stress in your body, manage aches and pains. Through fascial release, stretch, connection exercises and integrating better movement into your life you will feel the improvement . This is the perfect book to take prior to starting Pilates private sessions too. Learn the basic principles as we add in the Pilates work into our Tool Kit for you. Whether you are an athlete seeking your competitive edge or you are among the many people who live with chronic pain or musculoskeletal issues, effective, satisfying exercise can feel like a huge challenge. Keeping this in mind, within the Pilates method, even before the basic Pilates exercises can be properly and safely mastered, certain issues that commonly arise in our modern lives – and in our “modern” bodies – must be addressed. 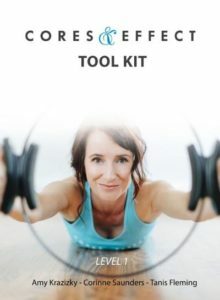 At Cores & Effect we have designed a program to assist people as both an introduction to the core principles involved in learning Pilates and as a specific method to facilitate body awareness and mind – movement connectivity. This course is designed to meet you at your level of body awareness, strength and ability, and to help you build a sustainable, effective and realistically obtainable home practice. Through fascial release techniques, appropriate stretching, body mind connection/awareness exercises and the integration of better movement patterns into your life, you will feel the improvement in your body and everyday life. This course will give you a varied and obtainable home practice, help you reduce stress in your body, manage aches and pains. Through fascial release, stretch, connection exercises and integrating better movement into your life you will feel the improvement . This is the perfect course to take prior to starting Pilates private sessions too. Learn the basic principles as we add in the Pilates work into our Tool Kit for you.